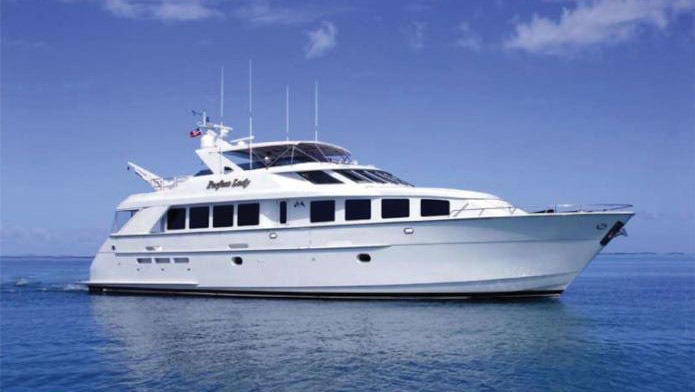 Motor yacht PERFECT LADY measures 25.6m (84ft) and was built in 1997 by the American shipyard Hatteras. 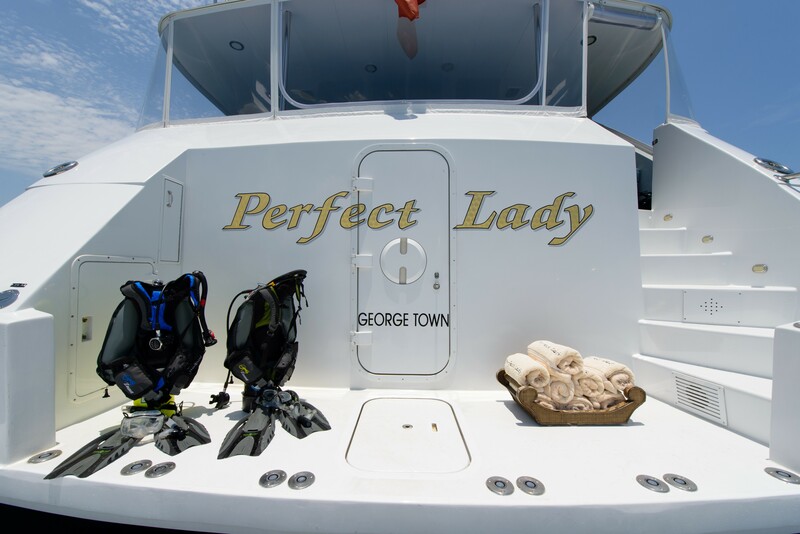 In 2012, luxury yacht PERFECT LADY underwent and extensive refit. 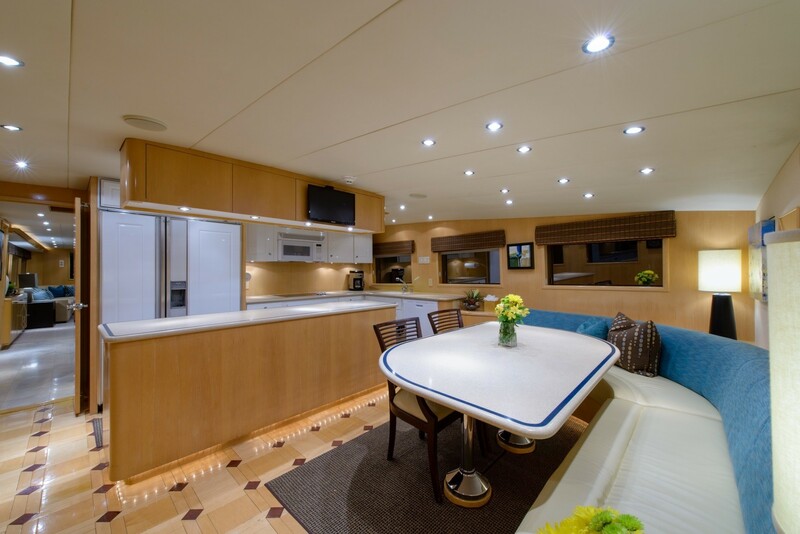 Crewed by a permanent crew of 4, charter yacht PERFECT LADY offers accommodation for up to 6 guests, in 3 en-suite cabins. 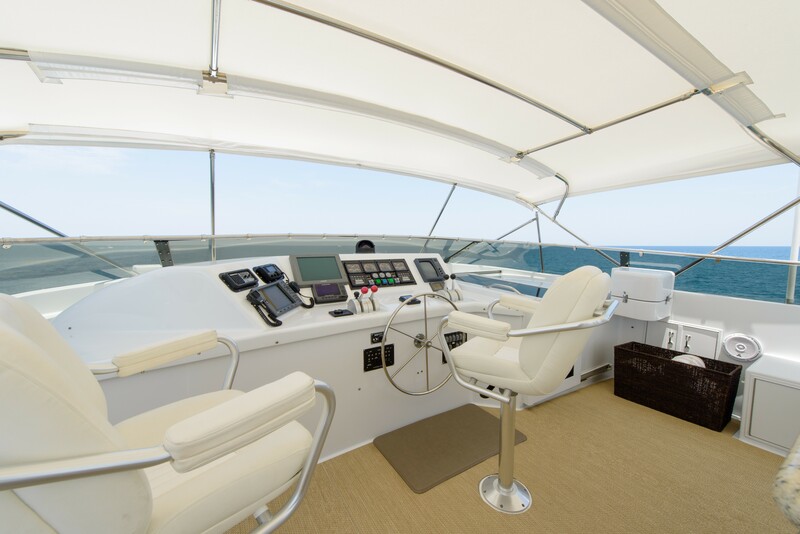 Motor yacht PERFECT LADY has a light and contemporary interior décor of creams, crisp whites and hints of sea blue accents. The salon is generous and boasts 2 opposing sofas, 2 coffee tables, occasional chairs and spectacular panoramic windows. Bespoke whicker drop down blinds ensure privacy and add an earthy natural ambiance. 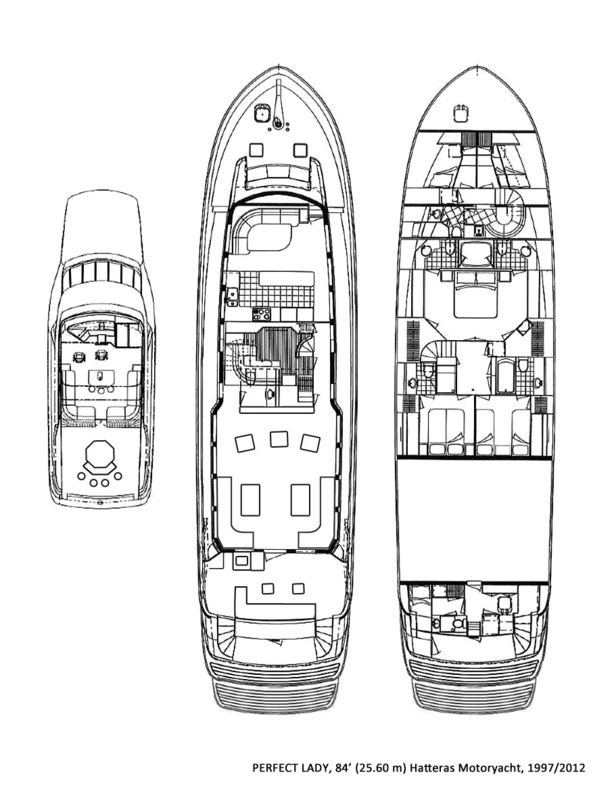 Forward of the salon is a large country style galley and dining area. 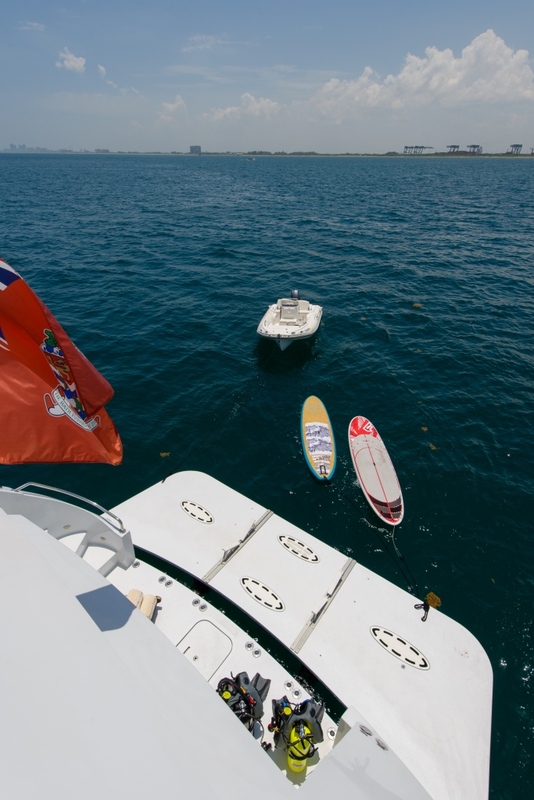 Below decks, M/Y PERFECT LADY offers 3 guest cabins, each with private en-suite facilities and TV entertainment. 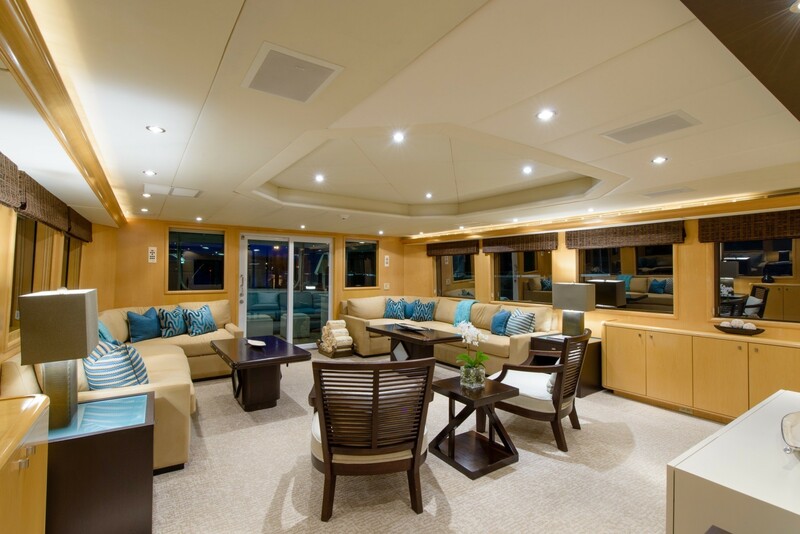 Deck space aboard the charter yacht PERFECT LADY is plentiful on 2 levels. 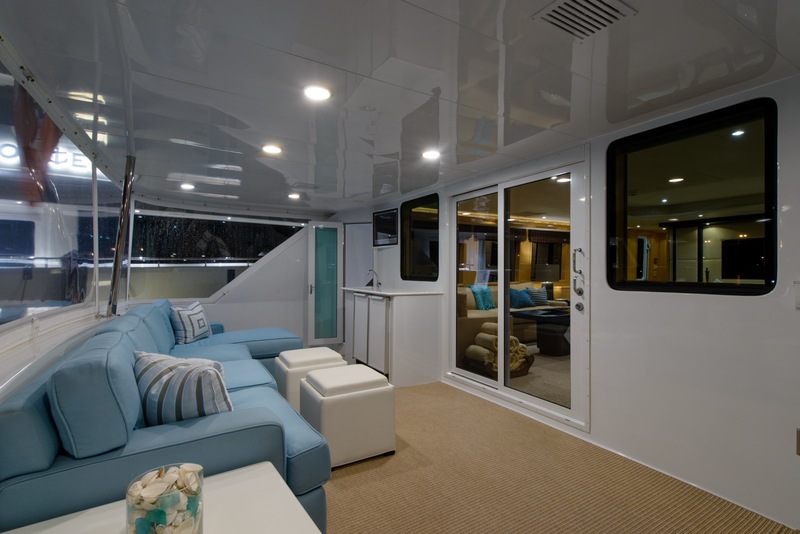 The aft deck is shaded and adjacent to the salon, with plenty of plush seating and areas to entertain. 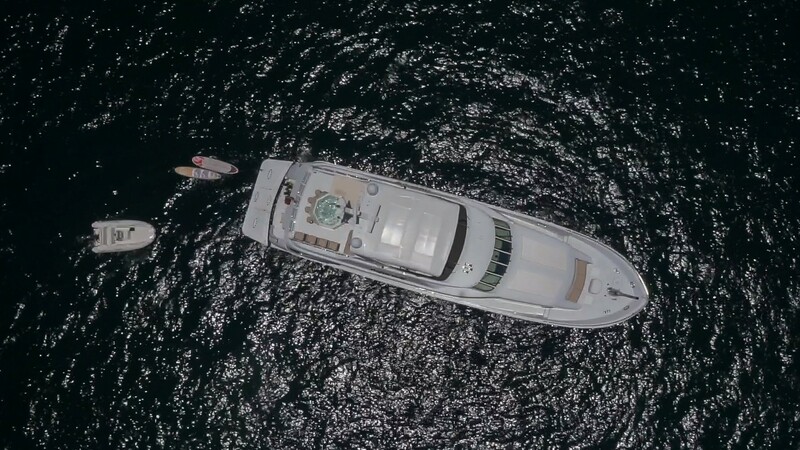 Further aft, the extended swim platform offers effortless water access. 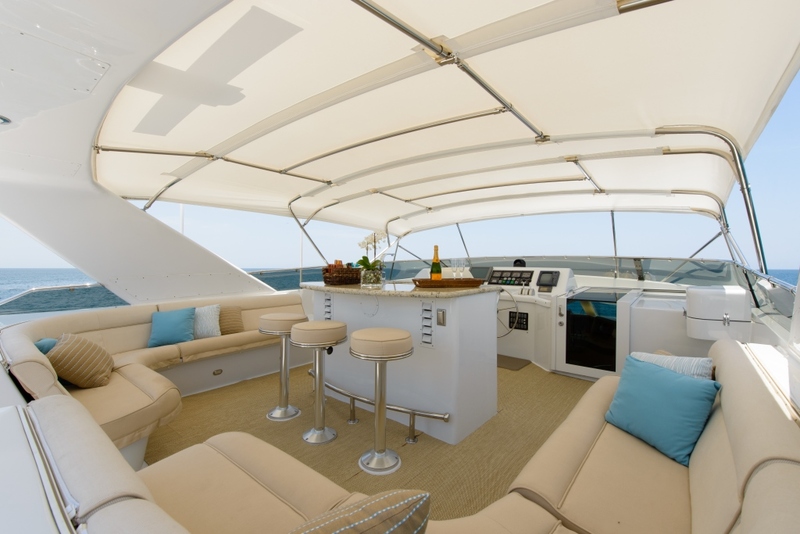 360° wrap around decks lead forward to an additional seating area, perfect for a quiet escape. 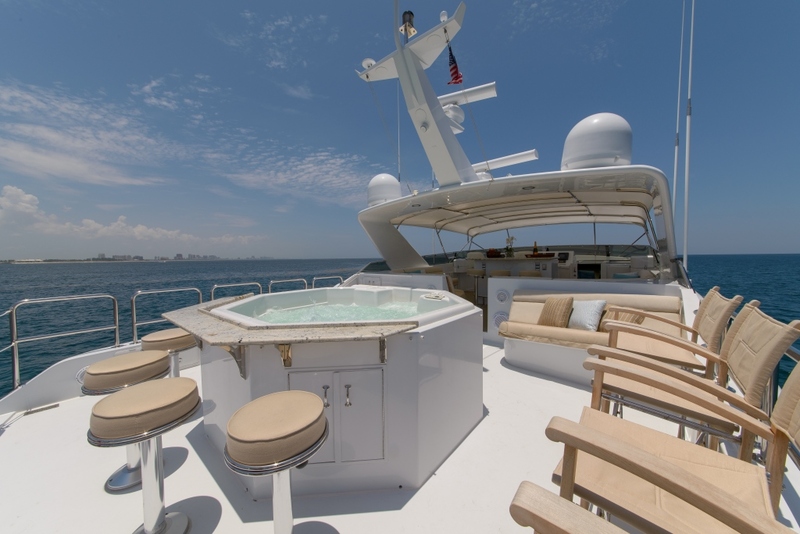 Ideal for lazing the day away in the balmy sun, or enjoying a starlit evening soaking in the Jacuzzi tub, the sundeck is enticing and well-appointed. 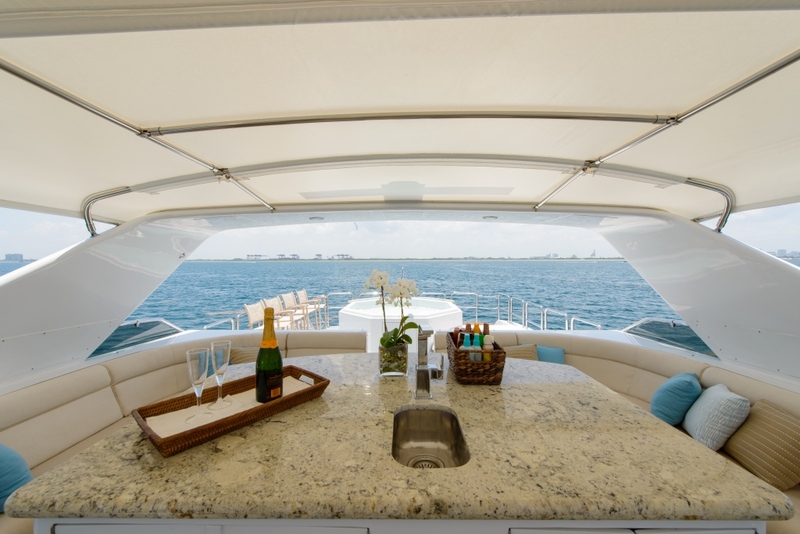 The forward section of the sundeck is shaded and features a marble topped wet bar with stools and surrounding seating. 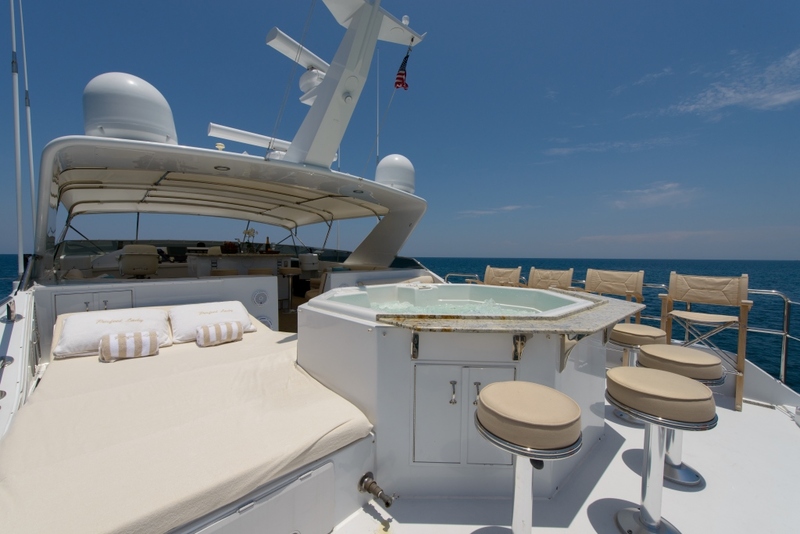 The aft section of the sundeck boasts chaise lounges, a sunpad and deluxe Jacuzzi tub, with marble top bar surround and stools. 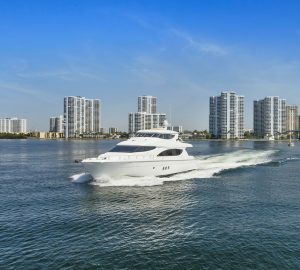 Powered by 2 x CAT 1350hp engines, the PERFECT LADY motor yacht cruises at 16 knots and can reach tops speeds of 21 knots. 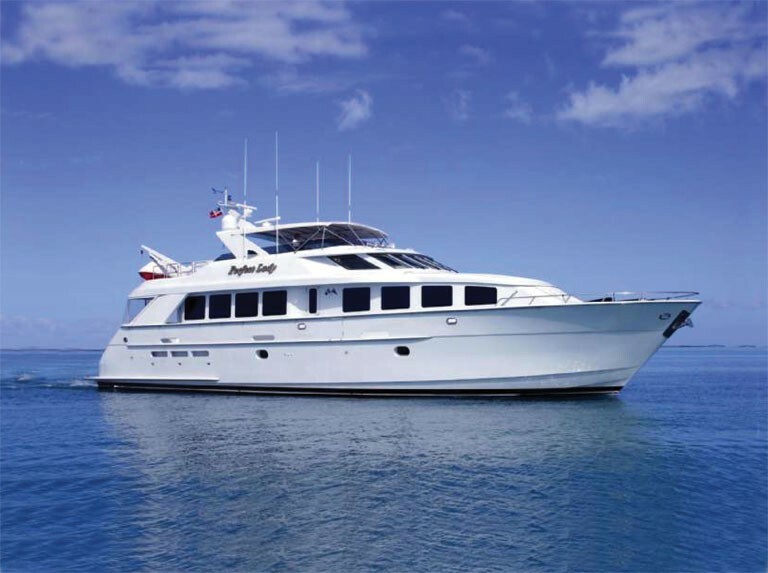 Luxury motor yacht PERFECT LADY accommodates 6 charter guests in 3 en-suite cabins. 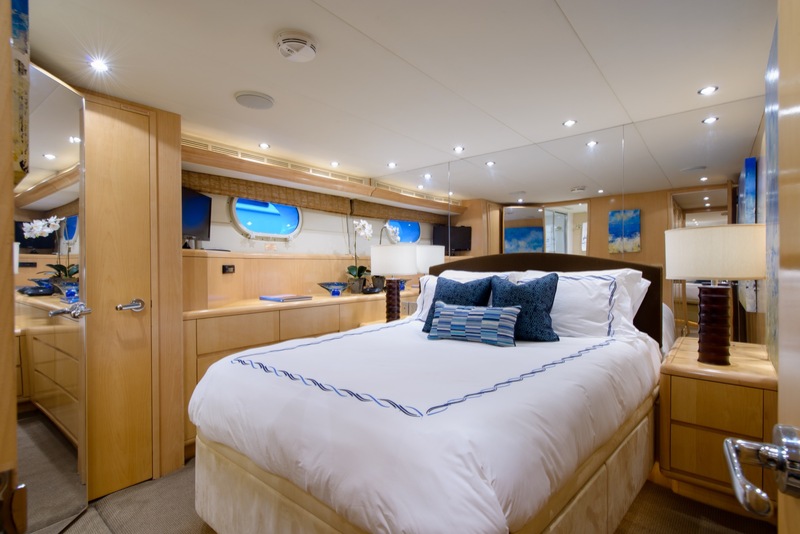 The master stateroom is forward and full beam of the yacht, with a center lined king size bed. 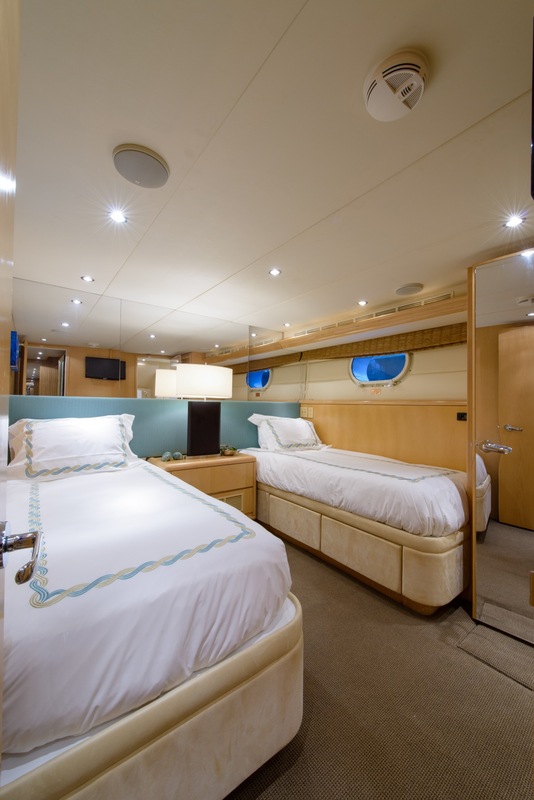 The VIP cabin is amidships on the port side, with a queen size bed. 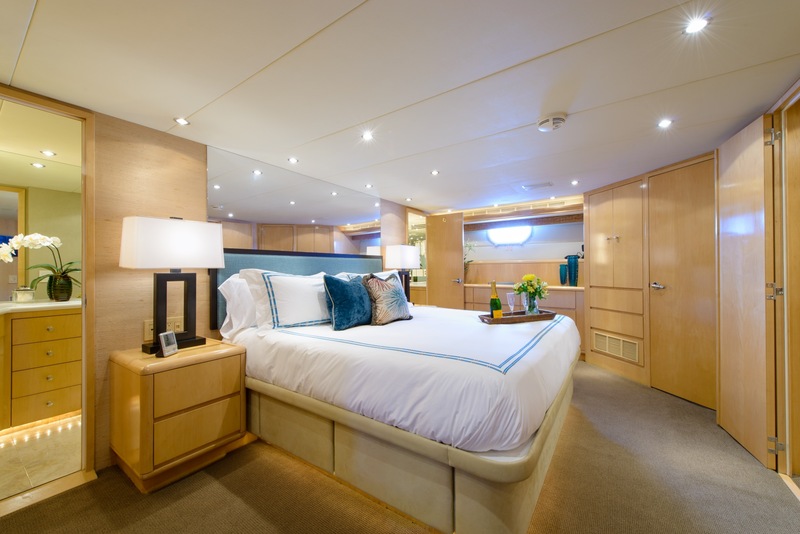 A guest twin cabin is on the starboard side with side by side twin beds. All 3 cabins are spacious, light and airy, each cabin boasts direct TV and access to an onboard movie library. 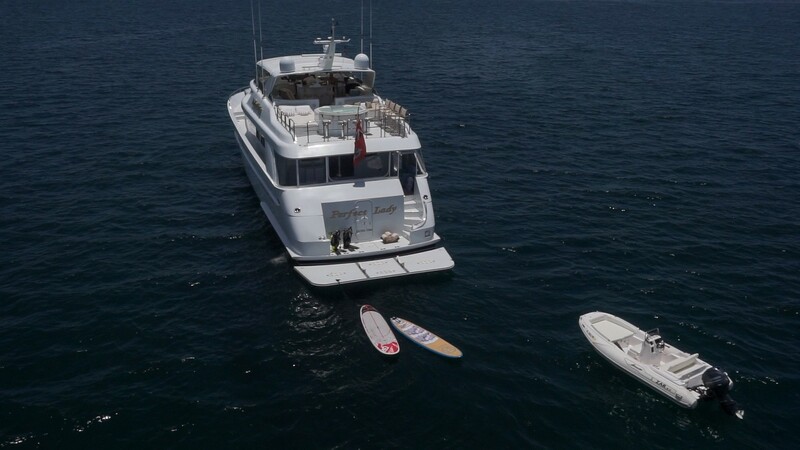 The PERFECT LADY yacht has the following Tenders & Toys: Main Tender: 15’ ZAR43; 70Hp Yamaha, Brownies Third Lung, (2) Stand up paddle board, Diving gear, Snorkeling Equipment, Fishing gear, Jacuzzi. Communications include SAT Phone. 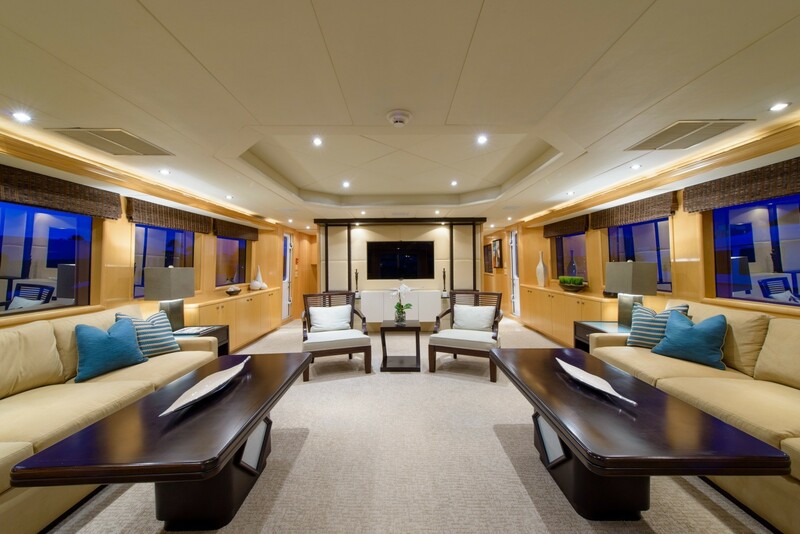 Audio Visual Equipment and Deck Facilities include DirectTV in each cabin, Movie server, Satellite radio.